Malach Centre for Visual History at the Faculty of Mathematics and Physics of the Charles University in Prague provides local access to the extensive digital archives of the USC Shoah Foundation - the Institute for Visual history and Education, the Refugee Voices archive of the Association of Jewish Refugees and the testimony collection of the Jewish Holocaust Centre in Melbourne. The Visual History Archive of USC Shoah Foundation contains over 54 000 witness testimonies covering the history of entire 20th century. Filmed interviews are fully accessible through an on-line interface in Malach CVH. Users can search for and view testimonies of interest by using more than 55 000 keywords or a database of 1.1 million names. 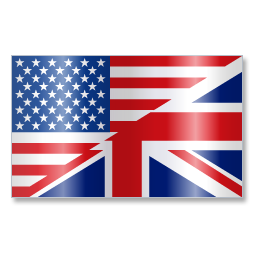 The testimonies available in Malach Centre were recorded in 56 countries and in 32 languages. The Refugee Voices archive complements this collection with additional 150 interviews together with 15 testimonies provided by the Jewish Holocaust Centre in Melbourne. For further details about the archives please see below. Malach CVH was officially open in January 2010 as one of three European access points to the Visual History Archive of the USC Shoah Foundation. Since 2013, Malach CVH provides access to Refugee Voices archive, collected by the British Association of Jewish Refugees. 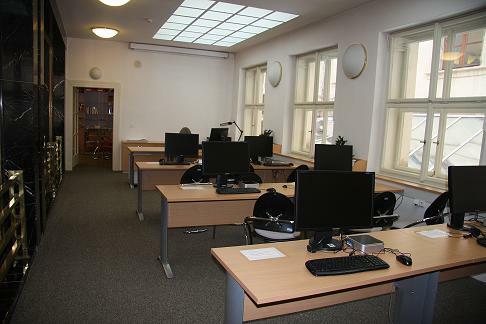 Six separate computer work-stations are ready in the Library of Faculty of Mathematics and Physics of Charles University on Malostranské náměstí 25 (Lesser Town Square, Prague 1). Any interested member of the academy as well as the general public are welcome. The user interface is easy to work with, yet sophisticated enough for conducting in-depth research. We will gladly assist you during your visit. Considering the capacity and architecture of Malach Centre, group visits are also possible apart from the individual research (student groups, workshops etc.). If you are interested, please do not hesistate to contact us by e-mail. You can also visit Malach CVH during various public events held here. On any occassion, the Malach CVH is freely accessible to everyone. What is available in Malach CVH? For further details click on the archive title above. Why is Malach CVH worth visiting? Oral history interviews are a valuable information resource for students and researchers in many fields and disciplines: over 40 publications and countless student papers and diploma/dissertation theses have already drawn from the Visual History Archive. The content of testimonies includes material that is applicable to many different scientific fields, not only history or religious studies. Just in the case of the Visual History Archive, over 140 courses at 12 universities in over 20 disciplines have drawn upon the testimonies: anthropology, psychology, Slavic studies, art history, business ethics, law, linguistics, philosophy, sociology, gender studies, French language, German culture, political science, comparative literature and many more. We will be happy to make it possible for you to work with the archives also after hours, but only after previous mutual agreement by e-mail or telephone. Thank you for your understanding. Coordinators: PhDr. Jiří Kocián and Mgr. Jakub Mlynář, PhD. 2009 © Institute of Formal and Applied Linguistics. All Rights Reserved. Access counter: 6389.